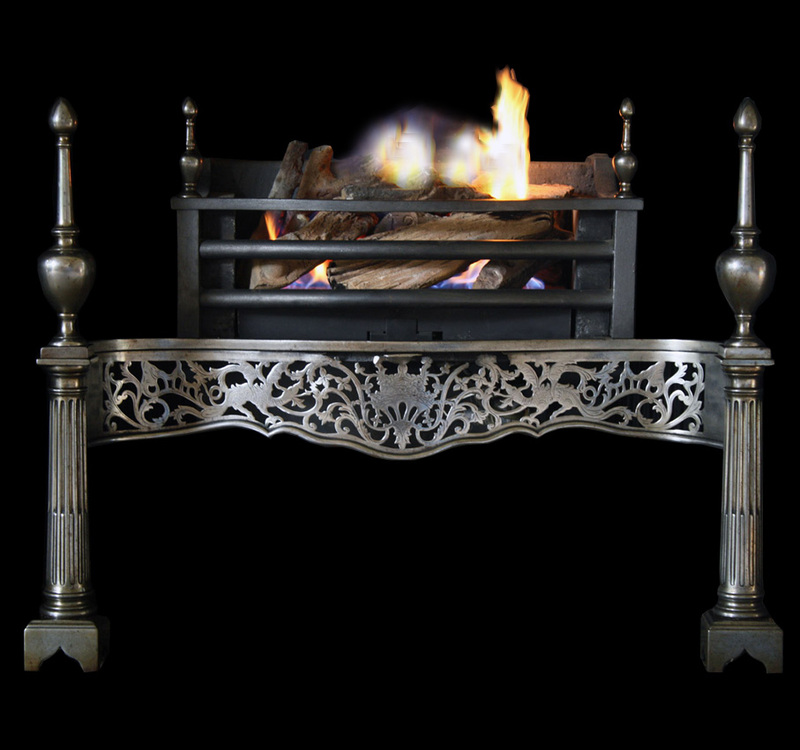 Art Nouveau fireplace . 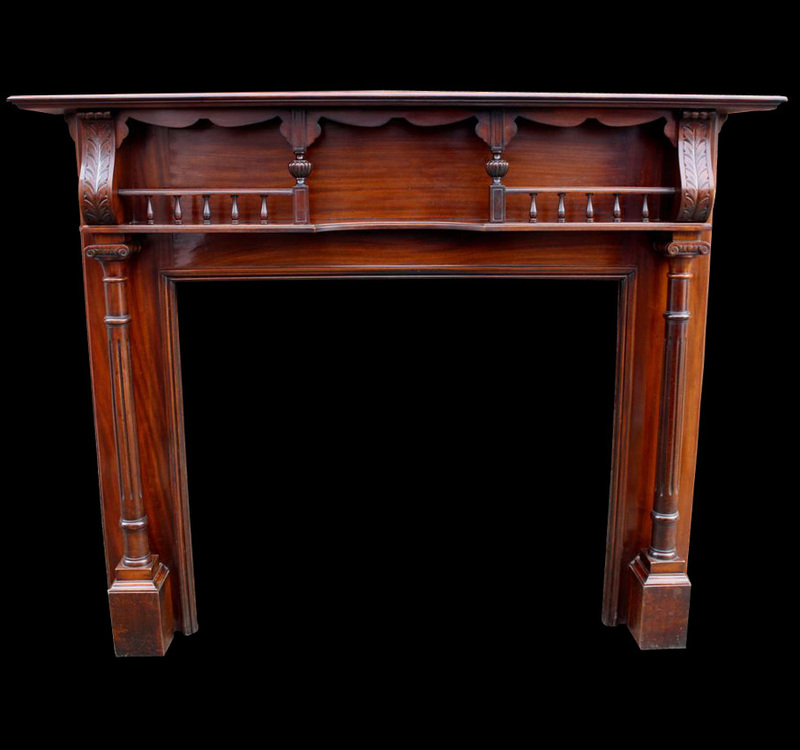 Cast iron bedroom fireplace depicting stylized pomegranate detail to the canopy . Registration Mark 451681 dating this fireplace circa 1905.